Even their simple looking food pics are nothing short of pure ecstasy. It's always exciting to follow top chefs on Instagram. While you get a glimpse of their kitchen and culinary skills, you also get a virtual tour of some of the most delicious food in the world. Don't believe us? Follow these chefs and get to know the truth yourself. 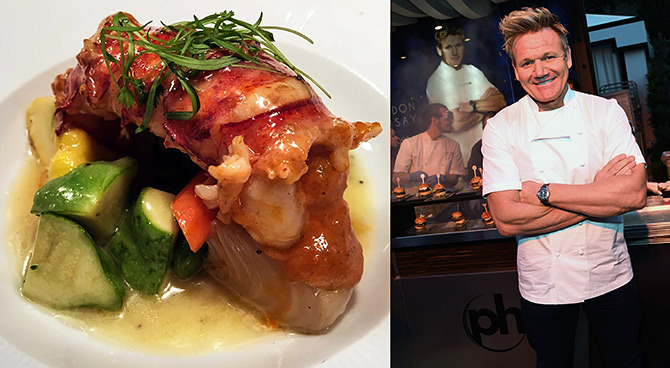 Are you following these chefs on Instagram? IMAGE: A lobster starter from Gordon Ramsay Steak. He recently made a blunt comment on Priyanka Chopra's Instagram pic of chicken soup and khichdi. He called it 'dog food'. Well! That's a pretty mean thing to say. But his food pics are not that mean. In fact, they are really pretty. You will be taken aback by the exotic delicacies on his page including sushi with exotic flowers, fish stew, togarashi salmon tataki with sesame, pickled radish, coriander and avocado puree, etc. IMAGE: Sticky and sweet chicken wings. He's a super chef and a proud dad :) -- two strong connections that you'll come across his Instagram feeds. You'll be super jealous of his account which features delicious pics of nibbles oysters in apple Brazilian chilli sauce, marinated cockles and smoked cods roe fennel crowd his page. 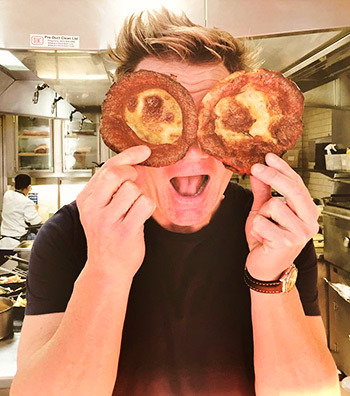 Jamie will floor you with good-looking food pics as well as some adorable photos of his little one -- don't miss the pics of him cooking with his bundle of joy, above. 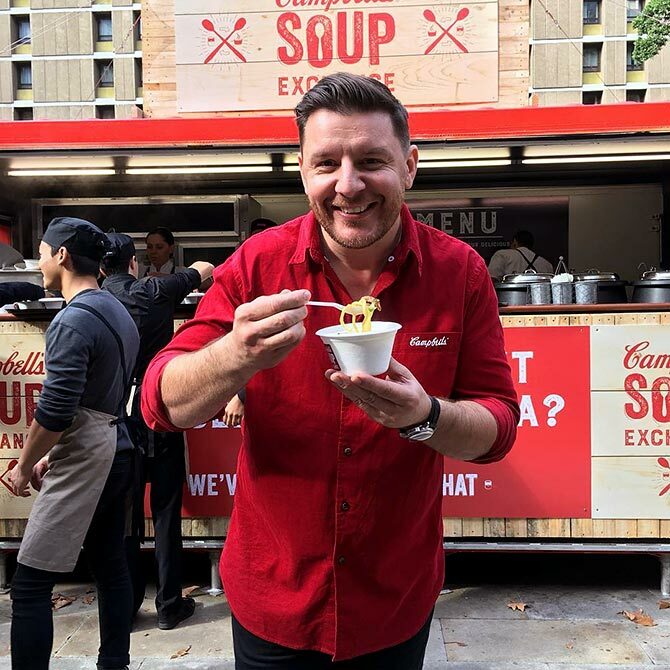 IMAGE: Manu treating himself to a bowl of delicious soup at Sydney. If you have ever watched MasterChef Australia or My Kitchen Rules, you'll be familiar with this enigmatic chef. A French chef, author, restaurateur, host and judge, Manu's plates are gorgeous and so are his food pics. He has the uncanny knack to make everything look so stunning, impressive and downright drool-worthy. IMAGE: Heaven in a cup: chocolate pudding. 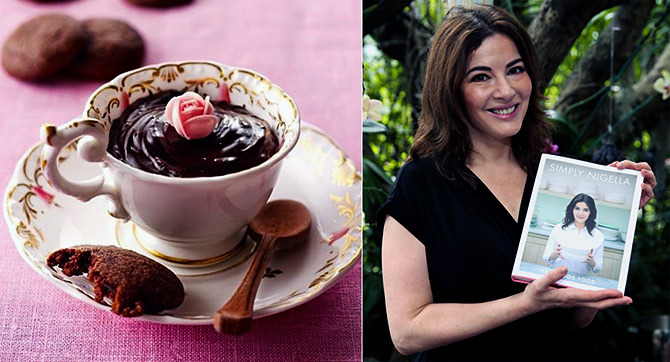 The Instagram page contains all of Nigella's 'eating updates and other occasions of joy'-- just everything revolving around food. Her food pics of chicken traybake with bitter orange and fennel, scones, rococoa cake, jumbleberry crumble are so delightful that it will make you hungry. You can also click on the link given below to get the yummy recipes of these awesome delicacies. 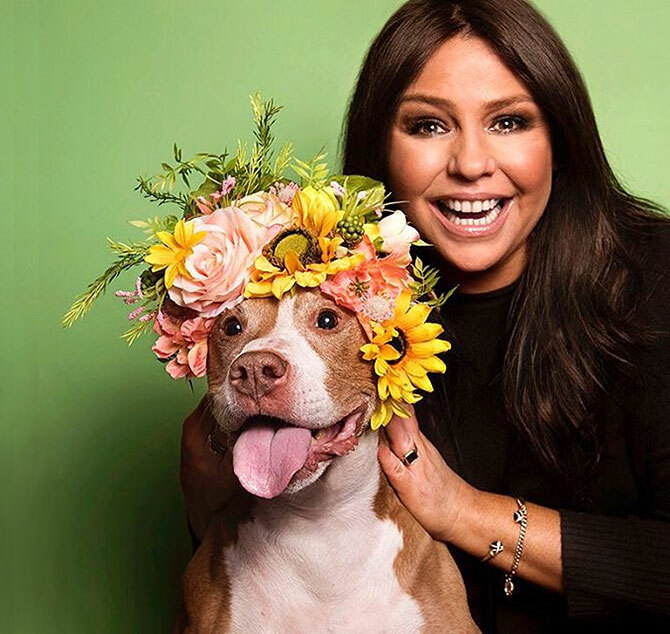 IMAGE: Rachael with her friend Sophie's shelter pit bull wearing a crown of flowers. TV personality, author and cook, Rachael Ray's food is as good looking as her. She's a huge fan of healthy eating and loves to throw in some goodness of grapefruit, broccoli, spring vegetables and lemon into her delectable dishes like baked almond and herb crusted fish, smoky chipotle grilled fish tacos with tequila-lime slaw and avocado cream. 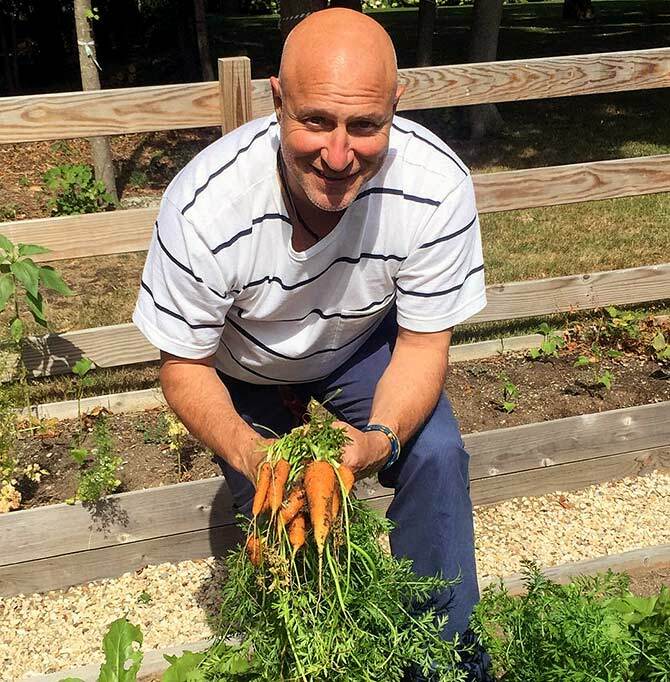 IMAGE: Tom Colicchio with freshly plucked carrots from a garden. He is a chef, food activist, fishing fanatic and father to three. Tom's laid-back feed is high on seafood. His captions are witty and he loves growing his own veggies and herbs. He's been encouraging his Instagram followers to take a fruit and veggie selfie and share it. You'll also find photos from his travels and pictures with celebs! 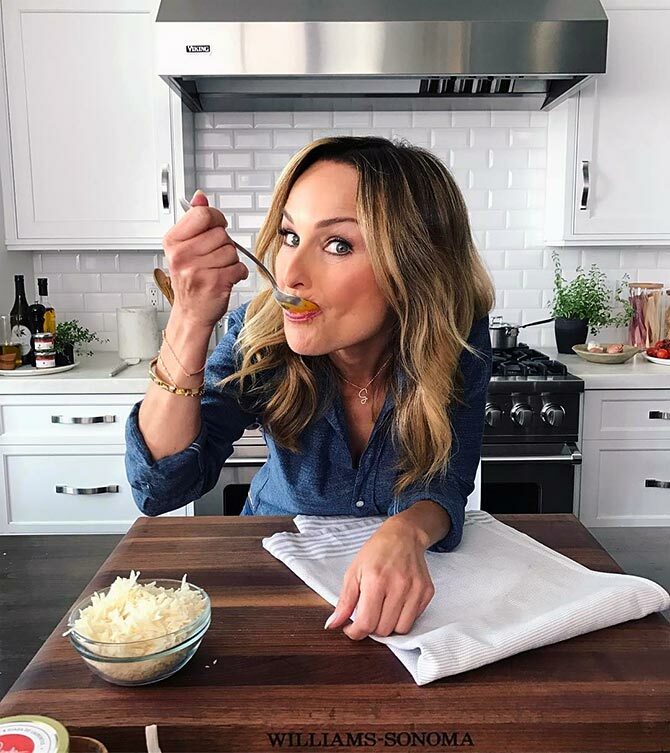 IMAGE: Giada DeLaurentiis posing with food. She's one of the wackiest chefs on this list and will pose compulsorily with the food she makes. Her #mommymoments with her daughter are too adorable to miss and she's made crazy stuff like a football pizza, cooked tri-colour pork with Steve Harvey, and also made Thanksgiving turkeys with chocolate. 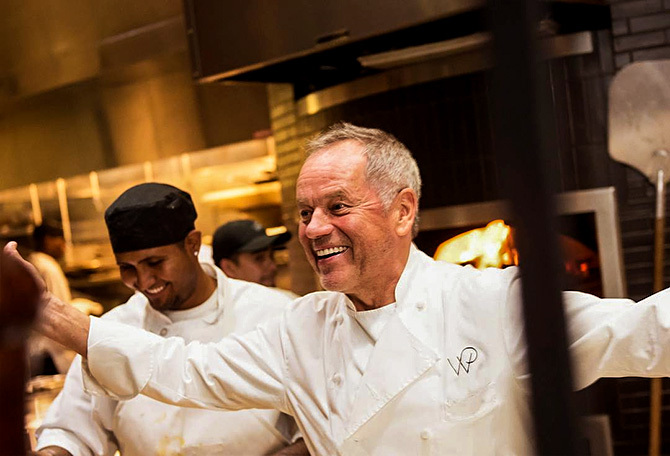 IMAGE: Wolfgang Puck in his kitchen with his staff. Cooking for his family is this chef's most favourite moment. But his first passion will always be food -- his Instagram feed is proof of that. Lip-smacking food pics of lobster cocktail, dark chocolate souffle, a six-foot long mille-feuille and baked Alaska are way better than the ones we spot on food magazines. 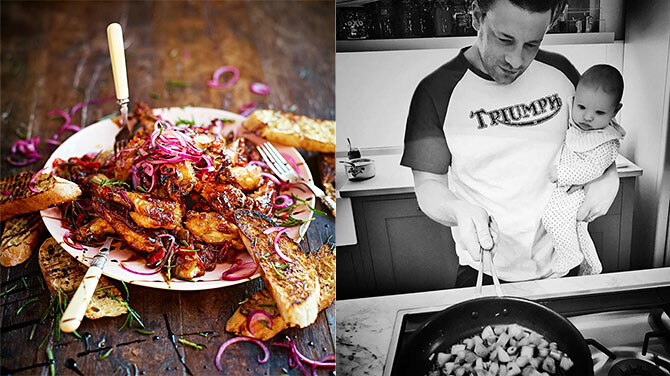 His Instagram feed has comfort food, awesomesauce tiny plates and beautiful pics. Interested in food? Follow this link to post the best of your food pics and we will publish them right here on Rediff.com!